Five minutes after Charles Guiteau shot President Garfield on July 2, 1881, the first of the doctors that would treat Garfield arrived at the Baltimore and Potomac Railroad Station. Within an hour, ten physicians were summoned to help the President. The first to arrive was Dr. Smith Townsend, the District of Columbia’s health officer. His immediate concern was to keep Garfield conscious. He administered brandy and aromatic spirits of ammonia which helped revive the President. Townsend then questioned Garfield and proceeded to examine him. Townsend would be the first to probe the President’s wound, almost certainly introducing infection into the wound. After this examination, Townsend decided that Garfield should be moved away from the gathering crowd. A hay and horsehair mattress was located, and Garfield was transported to a room on the second floor of the train station. As Garfield lay on the mattress, vomiting and falling in and out of consciousness, members of his cabinet began to gather. The scene was particularly painful for Garfield’s Secretary of War, Robert Todd Lincoln. Determined not to stand idly by and watch another president die, Lincoln ordered his carriage to find Dr. D. Willard Bliss, one of the doctors he remembered who worked to save his father. When Bliss arrived at the train station, he immediately took charge of the situation. After questioning the other doctors who arrived ahead of him, Bliss conducted his own examination of the patient. Bliss repeatedly searched the President’s injury with a variety of probes as well as with his little finger. Bliss’ probing of the wound was more aggressive than Townsend’s such that one of the probes became entangled with Garfield’s fractured rib and was difficult to remove. Although ten doctors had examined the President at the train station, more were yet to arrive and offer their services once Garfield was moved to the White House. 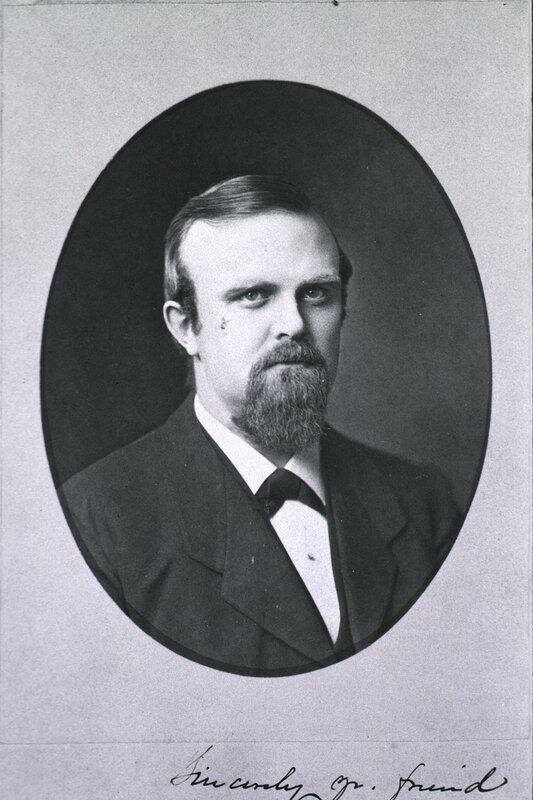 Garfield’s personal physician, Dr. Jedediah Hyde Baxter, was visiting friends in Pennsylvania at the time Garfield was shot. Baxter took the first express train back to Washington only to find his access to Garfield blocked by Bliss, who was determined that he would be the physician in charge. Baxter and Bliss would exchange angry words, but Bliss’ take charge attitude and self-confidence were hard to defy. Despite being the chief medical purveyor of the army and having served as Garfield’s personal physician for the past five years, Baxter would reluctantly depart from the White House leaving Garfield in Bliss’ care. Bliss was determined that he alone would decide who could and could not participate in the care of the President. After ousting Baxter, Bliss penned a letter to other doctors who had rushed to the train station to be of assistance. 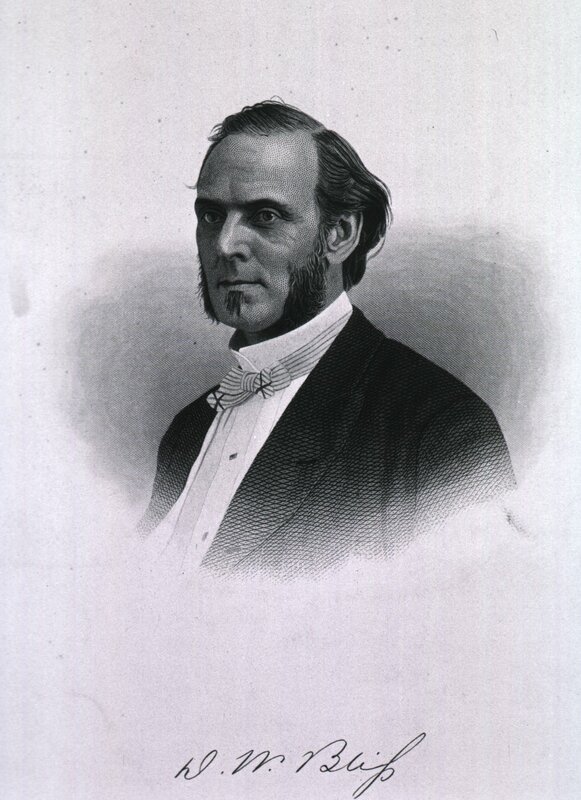 In the letter, Bliss indicated that he was serving as chief surgeon by the request of the President and Mrs. Garfield, thanked them for their service to the President, and dismissed them. Although Mrs. Garfield would later publicly deny such an assignment, the other doctors took Bliss at his word and departed the White House. Bliss quickly set about assembling a team of prominent surgeons to assist him. First summoned were Dr. David Hayes Agnew, the chief of surgery at the University of Pennsylvania and Dr. Frank Hamilton, a surgeon at Bellevue Medical College. He also requested that the newly elected president of the American Medical Association, Dr. James Woodward, join the team and serve as his second-in-command. Rounding out the team were Dr. Joseph Barnes, Surgeon General of the Army, and Dr. Robert Reyburn, professor of anatomy and surgery at Howard University. 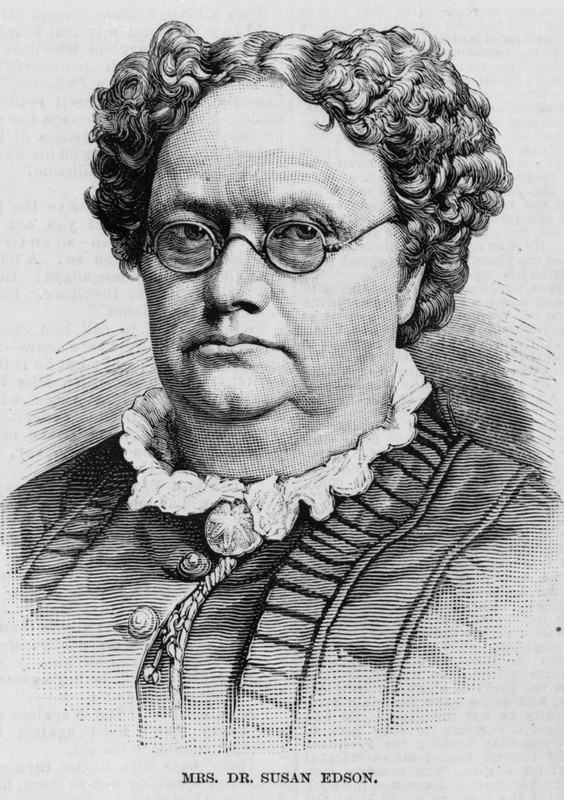 Despite Bliss’ best efforts, Lucretia Garfield, the President’s wife, would have a hand in selecting two of the physicians that would help care for Garfield. 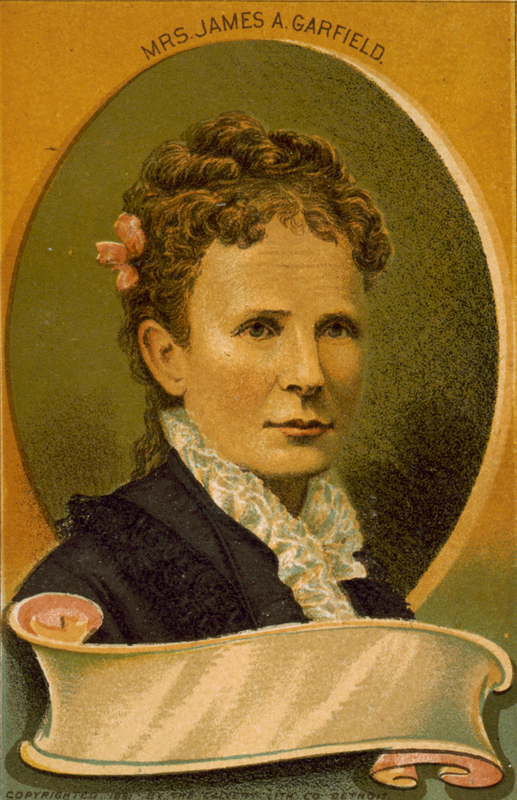 Dr. Susan Ann Edson, one of the few female doctors in the country, was Mrs. Garfield’s personal physician. When she learned of the assassination attempt on the President, Dr. Edson rushed to the White House arriving just as Garfield was being carried in. Garfield’s first words to her were all about his wife who had spent the summer at the shore recovering from a serious case of malaria. Concerned that news of his injury would cause a relapse, Garfield had a personal message relayed to her from the train station. Now seeing Lucretia’s doctor, he expressed his biggest fear, “What will this do for Crete? Will it put her in bed again? I had rather die.” (Candice Millard, Destiny of the Republic: A Tale of Madness, Medicine, and the Murder of a President (New York: Doubleday, 2011), 156). It was due to Lucretia’s insistence that Dr. Edson would remain and help with Garfield’s care despite Bliss’ efforts to remove her. Lucretia also summoned Dr. Silas Boynton, Garfield’s first cousin and boyhood friend. In the end, Bliss would find himself bowing to the wishes of Mrs. Garfield but not before gaining concessions of his own. Both Dr. Edson and Dr. Boynton could remain but assist solely in a nursing capacity. They would not be permitted to consult as physicians. Despite the clear affront to both their education and experience, Edson and Boynton would remain by the President’s side. Much has been written about the medical care that Garfield received and how it may have contributed to his eventual death. One of the main issues was the continued probing of Garfield’s wound with unsterilized instruments and hands. While standard medical practice was to remove the bullet, American surgeons had gained a great deal of experience treating gunshot wounds during the Civil War. It was well known that patients could survive and live apparently normal lives with bullets or pieces of shrapnel lodged inside their bodies. Yet, Bliss and the rest of the surgical team seemed intent to the point of obsession with locating the bullet. While Garfield’s injury occurred years after the discoveries of Louis Pasteur and the promotion of antiseptic methods by Joseph Lister, most American doctors remained skeptical. After all, attributing disease to invisible germs seemed ridiculous and was often considered “experimental” medicine. Moreover, it threatened traditional medical practices. Many doctors took pride in the dried blood and pus that stained their clothing seeing it as a badge of honor and a tribute to their surgical experience. Doctors were known to refer to the “good old surgical stink” as a point of pride in their profession. Further, the few doctors that attempted antisepsis often did not achieve remarkably better results. Apparently this was due to either a failure to completely understand Lister’s methods or the haphazard application of them. While they might wash their instruments in carbolic acid, the handles were often made of wood, ivory, or ebony which could not be adequately sanitized. They also continued to use unsterilized towels and bandages. A surgical instrument dropped on the floor would be picked up and used without being re-sterilized. Bliss had already been censored years earlier by the American Medical Association for unconventional medical practices. As a result of the censor, he returned to the mainstream whole heartedly. His selection of surgeons to assist him is evidence that he intended that no experimental or questionable medical practices would be considered in the treatment of this very important patient. In fact, both Hamilton and Agnew had attended Lister’s lecture on antisepsis at the Centennial Exhibition, and both were vocal opponents of the method. —Dr. E. L. Patee (Candice Millard, Destiny of the Republic: A Tale of Madness, Medicine, and the Murder of a President (New York: Doubleday, 2011), 158). 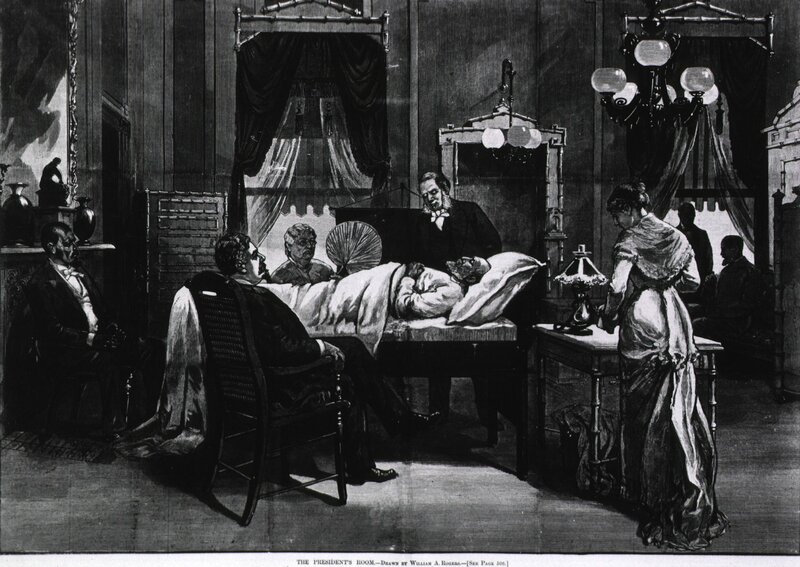 Given the state of medicine in 1881, the truth is that as long as the bullet had not damaged any vital organs, Garfield’s best hope of recovery lay in his own physical constitution and his body’s ability to heal itself. This would have been better served by less aggressive and repeated examinations of his wound.